If you love making coffee from freshly ground coffee beans, did you know you can brew them in the same machine? I was so excited when I first heard that someone finally invented such a fantastic machine. This cuts down on having so many appliances. This means that fresh coffee beans are ground in the same machine that the coffee is to be brewed in using its built-in coffee grinder. Like all other coffee makers, the grind and brew (also known as mill and brew) comes in several brands. 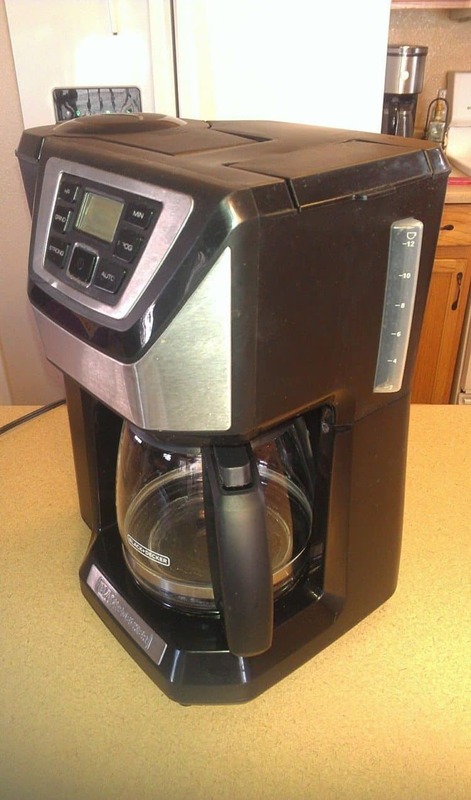 This review is on the one I feel is the best grind and brew coffee maker, the Black & Decker 12-Cup Mill & Brew Coffeemaker CM5000. This handy coffee maker is versatile in many ways. You can use pre-ground coffee or fill it with just enough of your favorite coffee beans for one pot and within minutes have a very fresh cup of delicious coffee filling your kitchen with the aroma you love. The Black & Decker CM5000 is programmable with the QuickTouch control panel that has a backlit digital display that highlights the time and program that you set. It has a 24-hour timer for automatic brewing so you can wake up to a fresh pot of coffee. You can program it to be customized to your liking of strong, medium, or mild. 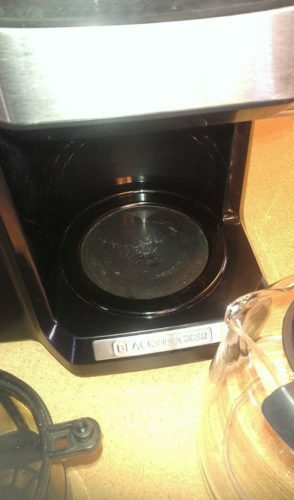 Instead of needing to buy coffee filters, there is a bronze tone permanent filter that is attached to the integrated grinder. They can be removed for easy cleaning and the brew basket is safe to be put in the top rack of the dishwasher. The carafe holds 12 cups and is dishwasher safe. The coffeemaker has a clear view window to show how much water it can hold so you can fill it to anything from one to 12 cups. There is an automatic sneak-a-cup that stops the flow of coffee so you can fill up a cup before the carafe is filled completely. The non-stick hot plate will stay warm for two hours until it shuts off automatically. This Black & Decker 12-Cup Mill & Brew Coffeemaker is one of the coolest inventions and with the cost of less than $100 it cuts the price of buying two machines plus it makes a great gift. We hope our choice of this as the best grind and brew coffeemaker will help you decide if it is the one for you.